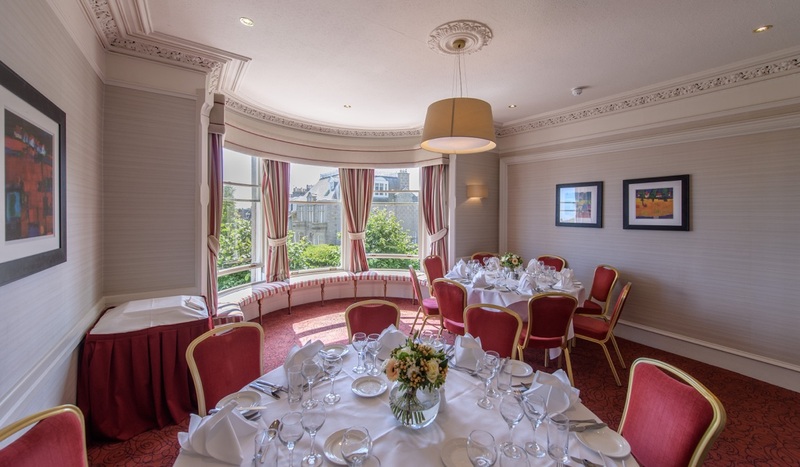 The Atholl Hotel is perfect for corporate entertaining or a family celebration. A long standing reputation for excellent food and friendly service, coupled with its location and car parking facilities, make this hotel the ideal venue to host your function, whatever the occasion. The Beechgrove Suite is a tastefully decorated room with oak panelled walls, feature fireplace and stained glass windows. It has its own bar and brand new dance floor and can cater for up to 50 guests for a meal or informal evening event. The Oakhill Room offers privacy for a smaller dinner party of up to 16 guests with fantastic views overlooking the City. We offer a large selection of menus to suit your requirements from informal buffets to gourmet dinners. We will also be pleased to design a menu specifically to your needs. person will be calculated depending on the items you choose. restaurant menu. If you require a specific dish do not hesitate to contact us. If you have a dish you particularly like, but which is not on our menus, just let us know. Special dietary requirements are easily accommodated. Please note there is minimum number for a hot buffet of 25.